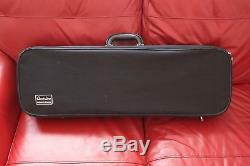 I had originally bought them for my son, who is currently in his second year at university studying music. 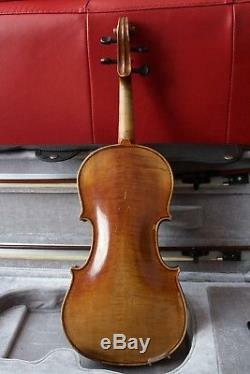 He passed his grade 5 with distinction on this violin. My daughter also played on this but is now playing on a 4/4. 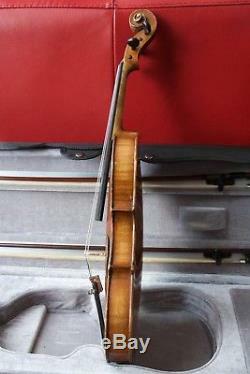 This is a proper instrument for an intermediate player. 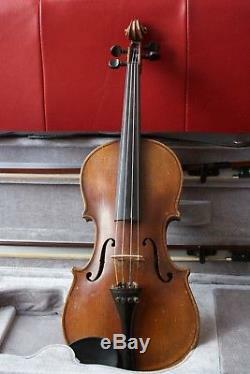 They were made in the first half of the 20th century in Mittenwald, a place where instruments have been made for over 300 years, and this is a manufactory violin. 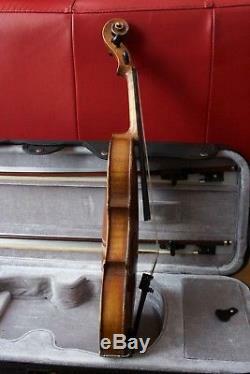 A hard case and two bows also come with the violin. 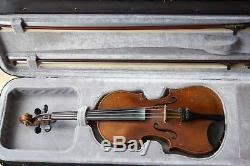 The item "Intermediate old 3/4 violin hand made in Mittenwald with case and two bows" is in sale since Wednesday, May 16, 2018. 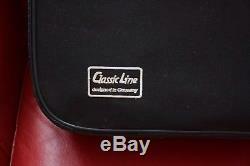 This item is in the category "Musical Instruments\String\Orchestral\Violins". 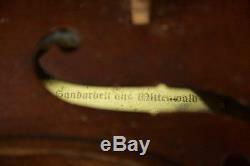 The seller is "ra78bu" and is located in Carlisle. This item can be shipped to United Kingdom, Antigua and barbuda, Austria, Belgium, Bulgaria, Croatia, Cyprus, Czech republic, Denmark, Estonia, Finland, France, Germany, Greece, Hungary, Ireland, Italy, Latvia, Lithuania, Luxembourg, Malta, Netherlands, Poland, Romania, Slovakia, Slovenia, Spain, Sweden, Australia, United States, Canada, Brazil, Japan, New Zealand, China, Israel, Hong Kong, Norway, Indonesia, Malaysia, Mexico, Singapore, South Korea, Switzerland, Taiwan, Thailand, Bangladesh, Belize, Bermuda, Bolivia, Barbados, Brunei darussalam, Cayman islands, Dominica, Ecuador, Egypt, Guernsey, Gibraltar, Guadeloupe, Grenada, French guiana, Iceland, Jersey, Jordan, Cambodia, Saint kitts and nevis, Saint lucia, Liechtenstein, Sri lanka, Macao, Monaco, Maldives, Montserrat, Martinique, Nicaragua, Oman, Pakistan, Paraguay, Reunion, Turks and caicos islands, Aruba, Chile.